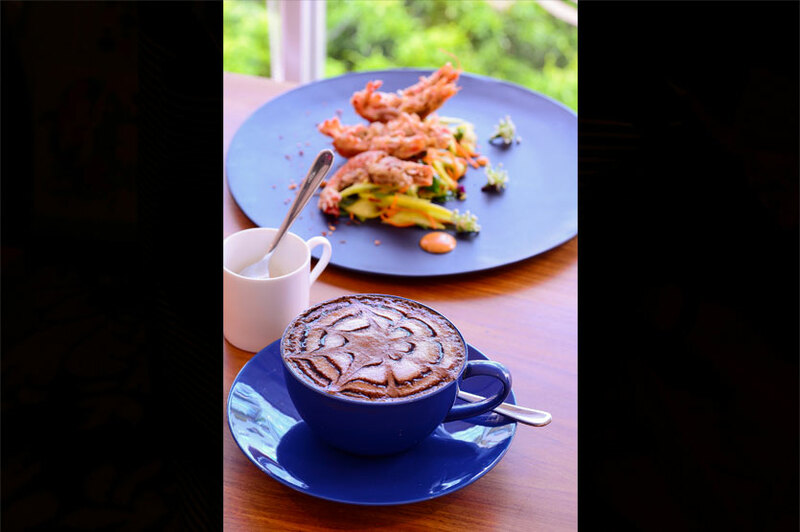 Aura Café opened its doors in November 2015 and has since served some delicious eats. Around two weeks back they launched their new menu which we were excited to try out. 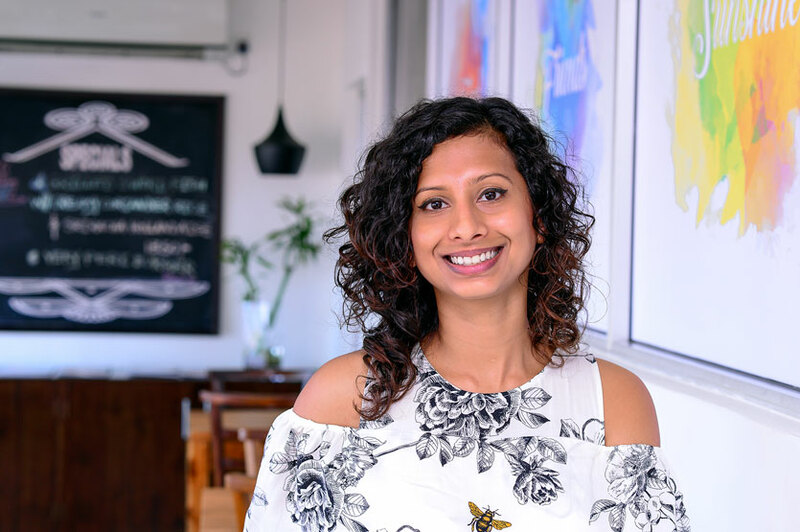 We met up with Malisha Kumaratunge, the proprietor of the café who explained to us, that they have retained some of their old favourites like the Jerk Chicken (Rs. 1100) and Pumpkin Gnocchi (Rs. 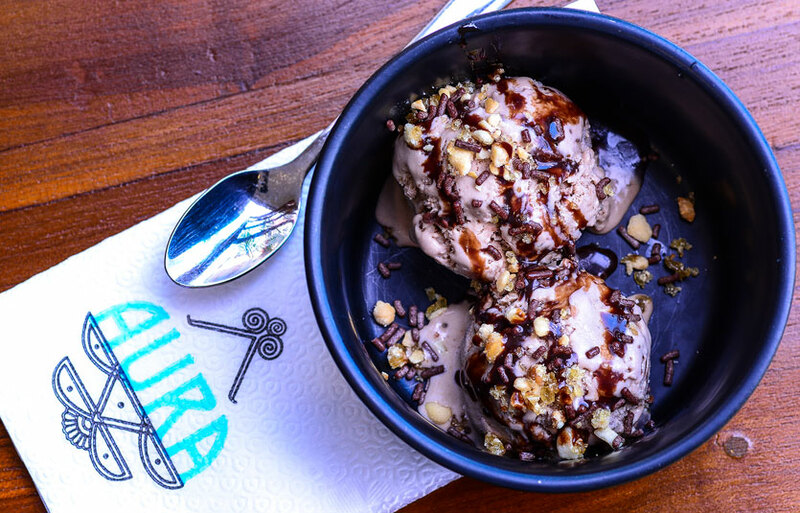 890) while they have introduced homemade ice creams into their new menu. 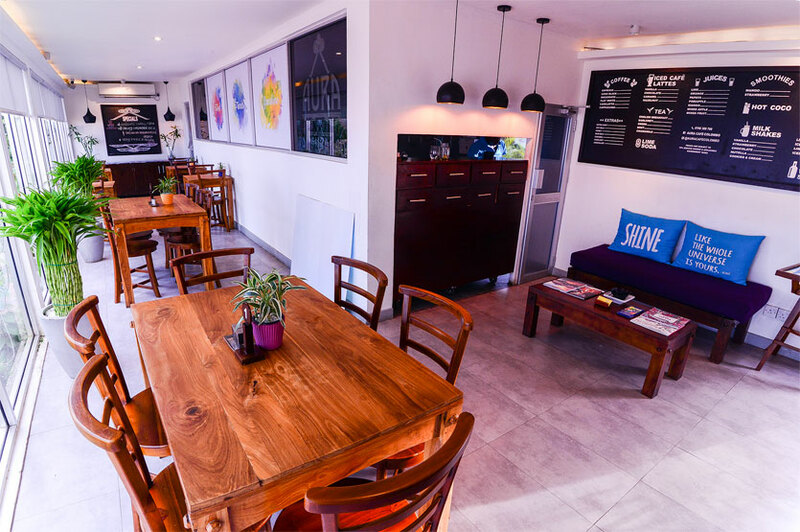 The café is extremely clean and is built using a container. 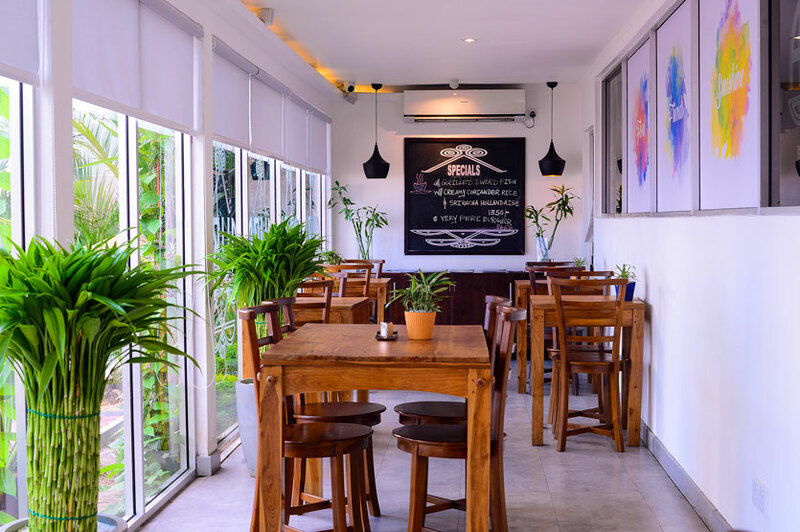 You can opt to dine inside with air-conditioned comfort, on the rooftop and outside, while the atmosphere is laidback. They also offer a kids menu and high chair facilities. 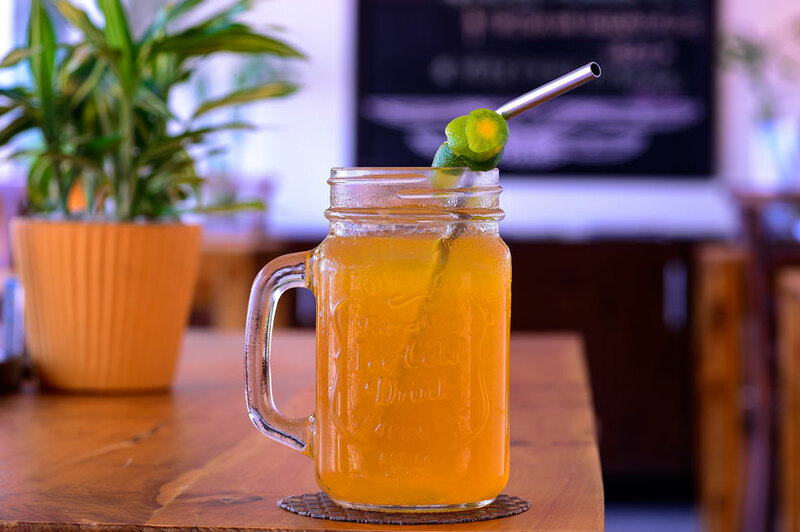 We loved their refreshing Narang Iced Tea (Rs. 400) which had a subtle hint of black tea while the tangy and sweet fresh narang made this a fantastic thirst quencher. They also whip up a delicious Cappuccino (Rs. 350) using our favourite, Hansa Coffee. 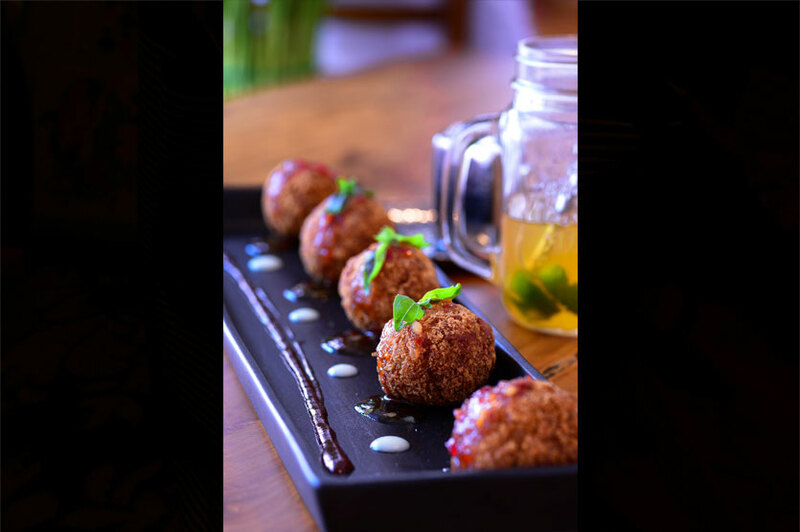 We started off with their delightful deep fried Mac and Cheese Balls (Rs. 1010) with tonkatsu sauce. With a hint of basil it was a mac and cheese lover’s dream. We also had their School Prawns (Rs. 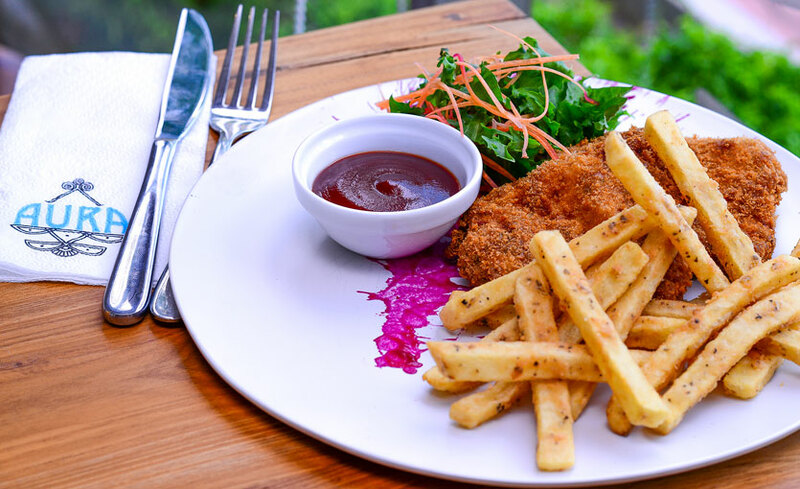 950) which comes with a tangy salad while the prawns are deep fried in a light batter. They also dish out scrumptious Hot and Spicy Chicken Wings (Rs. 940). 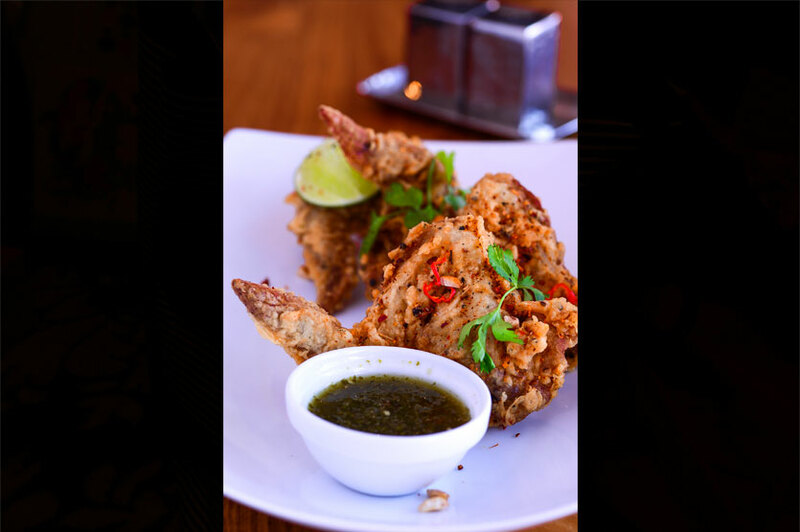 The chicken wings are batterfried and have a subtle hint of coriander while the tangy and spicy sauce give a real kick to the senses. We opted for a dish from the Kids Menu, that of Fish and Chips (Rs. 740). The swordfish was fried to perfection while the chips which were deep fried with oregano were amazing. Even though it was out of the kids menu, I must admit it was filling. We also tried their Lamb Hot Pot (Rs. 950). 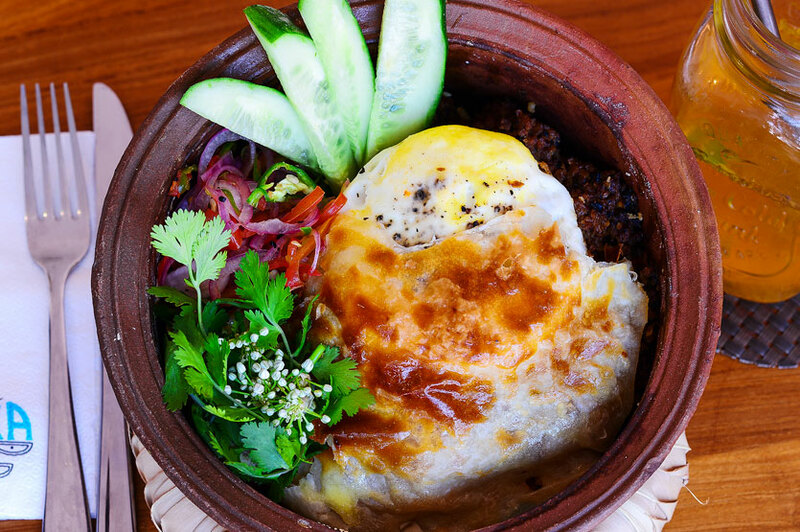 Served in a clay pot, this dish is filled with savoury rice with minced lamb, salad, a fried egg and topped with puff pastry. The coriander and the South Asian spices made this a spicy and flavoursome dish. 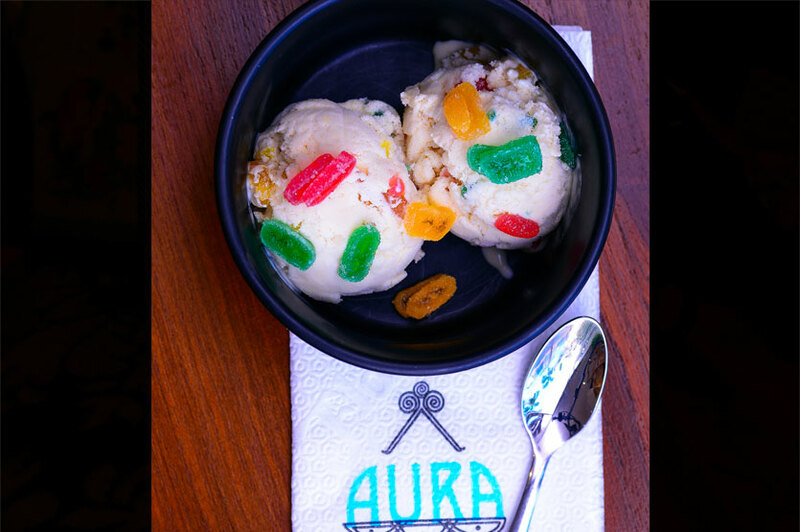 Aura Café offers creamy homemade ice creams. Their Sugar Bear (Rs. 390) which is adorned with cute pieces of jujups was a fun flavour while a more mature flavour to opt for is their Chocolate and Hazelnut (Rs. 400). Parking is available at the café and on the road. The toilets are extremely clean, have toilet paper and hand soap. 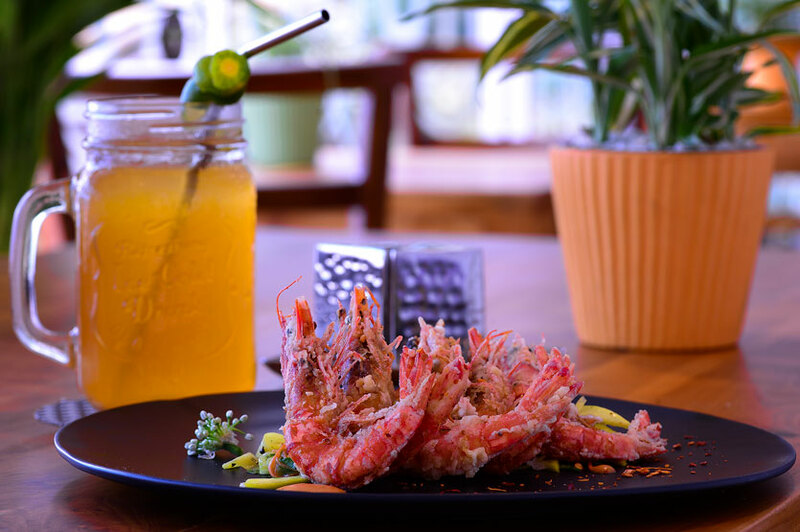 Note: Prices are subject to 10% service charge and applicable government taxes. I was there last week. Value for money 3 out of 10.